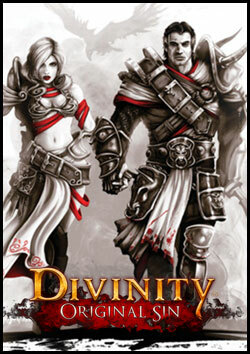 Divinity: Original Sin is an unapologetically old school RPG. It has an isometric view (you can flip to top down), bog standard fantasy setting, turn-based combat and perfectly reasonable graphics and dialogue. So what’s all the fuss about? For fans of the genre, pickings have been slim for a few decades. Since the boon of Baldur’s Gate et al, the high points have been the solid King’s Bounty series and the low budget (but great) Spiderweb Software games (Avadon and Avernum). The good news is Divinity: Original Sin has, for me, set a new high water mark for the genre. While much of the game simply ticks the right boxes, the combat ticks them particularly well. And in addition there’s very little hand-holding (death comes easy early on), plus a solid crafting system that’s fun to explore but non essential. Sounds simple, doesn’t it? But even in the classic games mentioned above the combat was rarely satisfying. Sure, the big boss fights would offer a challenge and a rare chance to use all those things you’d been saving for a rainy day (healing potions, spell scrolls etc). But beyond that most fights were mere organs to make you feel uber. Early on in Divinity, every battle feels like a challenge. This is because there’s an underlying difference to the norm that you need to properly learn before you can really succeed: namely that the elements matter – and I mean really matter. A pool of oil or poison on the floor can become a wall of fiery death; an innocent looking puddle becomes an icy sheet for your enemies to slip over on. This of course makes party (and spell/ability) selection crucial. Its arguable that magicians are pretty much required in the game, but it’s not completely true; there are plenty of crates of ooze to shoot with your fiery arrows, for example. You tend to get a hint of the battles around the corner by the carelessly forgotten and handily placed barrels you find. The important thing is creatures your level will comfortably dispatch you if you screw up – and they have the same spells and abilities you do. If you don’t shoot that pool of oil when they’re standing in it, you can bet they will when you stand in it later. And those bosses? If you don’t dispatch them fast they’ll be resurrecting their buddies you just struggled to kill. Of course, once you get the hang of things, battles do start to get easier. However they still feel more satisfying than combat in Divinity’s forerunners. I think this is mainly because you keep finding new and entertaining ways to dispatch things. What will happen if I use telekinesis to drop that exploding skeleton into that burning oil pool next to that archer…? You start the game with two characters, but can increase this to four early in the game. There are a couple of (fairly annoying) NPCs in the first town you come to, but soon after this you’ll meet a guy who will let you hire two extra characters from a long list of options. My suggestion is to follow the main central quest in the town (trying to find a killer) until you get to hire these NPCs. Avoid all the combat you can to that point, then go back and do everything with your full party of four (this includes the tutorial dungeon you come across very early in the game). This will keep your party as close to the same level as possible. The game’s pacing is odd. You start with a few little battles then come to a town where you can literally spend 10 hours before you need to have another fight. Do so, soaking up all the info and quests, getting those extra NPCs, then doing the little dungeon on the first beach (plus the one under the graveyard in town – dig up the ‘big’ earth mound to find it). Exploring will also get you XP; you’ll want to try and get your full party of four to level three (or close) before you start to head out of town again. Most non-combat skills you only need to raise on one character (good examples are leadership, bartering and blacksmithing). Crafting is very much optional, and while lore is hugely useful it is not necessary to put a single point into it: several town NPCs can identify items for you, while plenty of items you’ll find have the skill on them as a bonus. You’ll definitely want to cover the four main element magics (Aerothurge, Geomancer, Pyrokinetic and Hydrosophist) and level them up as fast as you can. The general consensus seems to be to make two mages with two of these each, which has worked for me. This also leaves your other two characters to be whatever you like. That said, make sure you have some healing capabilities. This is wonderfully flexible though, as warriors have a solid heal (via the important Man-at-Arms skill) and any character putting some points into hydro can also get heals. The game is wonderfully open ended in this way, letting you create your characters down whichever paths you choose. In terms of non-magic combat, train one melee skill maximum per character. You may want to boost armour skills for tanks and train someone in bows, but it’s down to your style – I’ve found neither to be necessary. Last but definitely not least is telekinesis. This is found on a lot of items and is definitely worth investing in – perhaps mainly on one character (to move heavier stuff) but its good to have a few people who can use it. It has uses both in and out of combat, helping you snag difficult to reach items and move people (friend and ally) to where you want them. Make sure one character concentrates on Perception (both in skill points and items found); they’ll find all sorts of interesting things; most importantly traps but also treasures. Speed is worth investing in across the board; this is turn-based combat and speed gives you action, movement and initiative points. Constitution is also handy as it raises health and vitality. But in the main, boost your character’s main combat skill (intelligence for mages, strength for warriors etc). If you’re a dedicated min/maxer you can probably find guides to tell you what to take. If you’re a normal person, take what suits your characters – this is an RPG after all! I’ll make one exception here – and that’s to make sure one character starts with Pet Pal (or gets it early). This lets you talk to animals – great for three reasons: 1) It opens up some quests you wouldn’t get otherwise; 2) some animals, especially rats, can be very informative; and 3) the ones that aren’t informative are usually funny. Every minute I spend whiffling here is one I’m not playing the game, so I’m going to shut up. Hopefully this will give you a good head start in the game – I’ve only pointed out things I learnt before I respecced and restarted, so if that can save someone having to do the same then it was worth it. To sum up, anyone who likes RPGs with turn-based combat should buy this game right now – you won’t regret it. Fans of other RPGs will probably get a kick out if it, but don’t expect anything amazing in the graphics/storyline department – in those terms Divinity is solidly ‘good’, but by no means a classic. This entry was posted in Computer Games, Games and tagged basics, Divinity, Divinity: Original Sin, Divinity: Original Sin review, Original Sin, review, tips by Chris Marling. Bookmark the permalink. Good post 🙂 But I have to say that Original Sin sure isn’t as good as people say. I think that it’s slow, not engaging and sadly the story is just.. I dunno, not what I expected. The camera however is the most annoying as you can’t spin it however you like.